PLUS Malaysia Berhad (PLUS) allocates RM5 million to roll out its Women Entrepreneurship Program (WEP) with the intention to empower more women entrepreneurs at its highway rest areas within the next 5 years. The PLUS corporate social responsibility (CSR) initiative will offer training courses, mentoring and business assistance to 20 women each year. The program is also aimed at developing local entrepreneurs and improving the quality of life and the socio-economic status of local communities along the PLUS Highway network. Through WEP, PLUS aims to produce 20 new women entrepreneurs each year within the next 5 years. According to Sheriff, selected WEP applicants will undergo trainings and will be exposed to various business competences and skills. “Upon completing their training, they will be given the chance to market their products via push carts or kiosks at the rest areas within the 2-year period of the program,” he added. 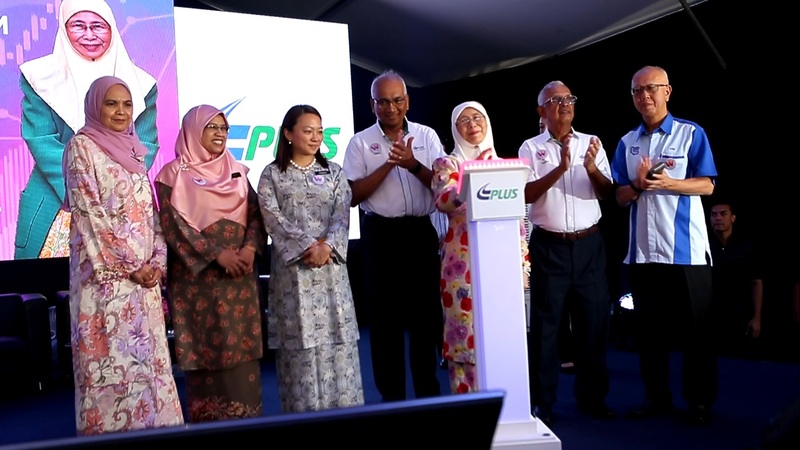 The first-ever WEP, a PLUS initiative and supported by the Ministry of Women, Family and Community Development and the Malaysian Highway Authority, aims to empower women by increasing their capabilities in managing and developing business and at the same time, supports the Government’s efforts in producing more successful women entrepreneurs. There are currently more than 600 business outlets at PLUS rest areas of which 46 percent is operated by women entrepreneurs. Single mothers make up 7 percent of the total women entrepreneurs. “The highway rest areas are not just a stop for highway customers. They offer 5,500 employment and business opportunities and help to improve the socio-economic status of those living at the surrounding areas,” Sheriff added. The local communities are given the opportunity to operate their businesses at 24 Rest & Service Areas, 4 Overhead-Bridge Restaurants and 46 Lay-bys along the PLUS highways. “The highway brings positive impacts to the surrounding communities. Studies show that those who open up business at the highway rest areas enjoy stable and generous income,” Sheriff said. “At the same time, PLUS continues to be committed to provide the best highway services for highway customers. As the nation’s leading expressway company, PLUS is embarking on a first of its kind, multi-year rejuvenation project to elevate the highway R&Rs experience for all Malaysian travellers. Starting with Seremban R&R (South-Bound), PLUS plans to rejuvenate and refurbish at least 5 R&R locations along the North-South Expressway (NSE) over the next few years to suit the preferences of the current highway customers,” Sheriff said. Sheriff was quoted at the launch of the PLUS Women Entrepreneurship Program which was officiated by the Deputy Prime Minister and Minister of Women, Family and Community Development, YAB Dato’ Seri Dr. Wan Azizah Dr. Wan Ismail, today. Also present were Deputy Minister of Women, Family and Community Development, YB Hannah Yeoh and PLUS Managing Director, Datuk Azman Ismail.